Mount Eddy and Upper Deadfall Lake. Mount Shasta dominates the California Northstate. It can be seen from the summit of peaks south of Lassen Peak to tall mountains deep into Oregon. Its massive bulk is obvious from as far east as the Warner Mountains, mere miles from the Nevada border. It is a wild, glacier-clad, regal mountain. It seems as though all other peaks fade into insignificance at the foot of the mighty volcano. Yet, despite the intimidating competition, there is one mountain in Shasta’s immediate vicinity that is worthy of far more acclaim that is receives and possesses many notable features in its own right. Mount Eddy, the second highest summit in the region, is a grand mountain in its own right. 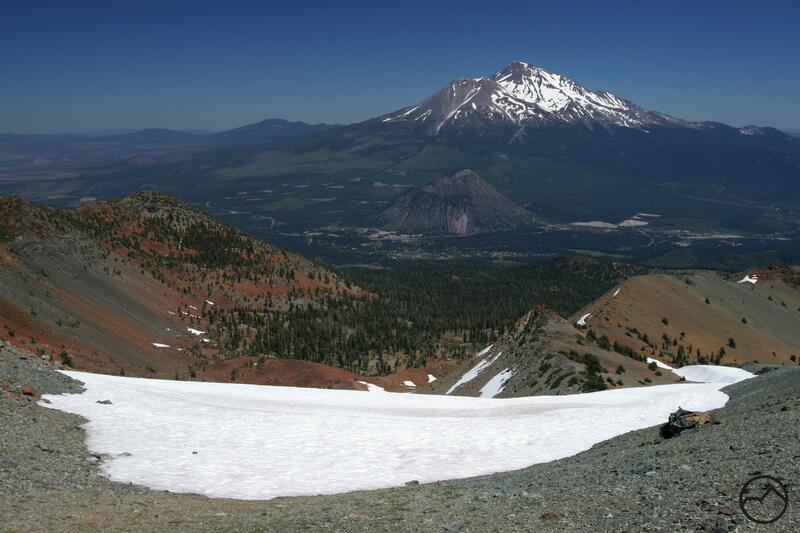 Without doubt, Eddy cannot compete with the grandeur or Mount Shasta, which stands a mile taller than Mount Eddy. Nonetheless, while Mount Shasta commands respect, Eddy at least demands some as well. 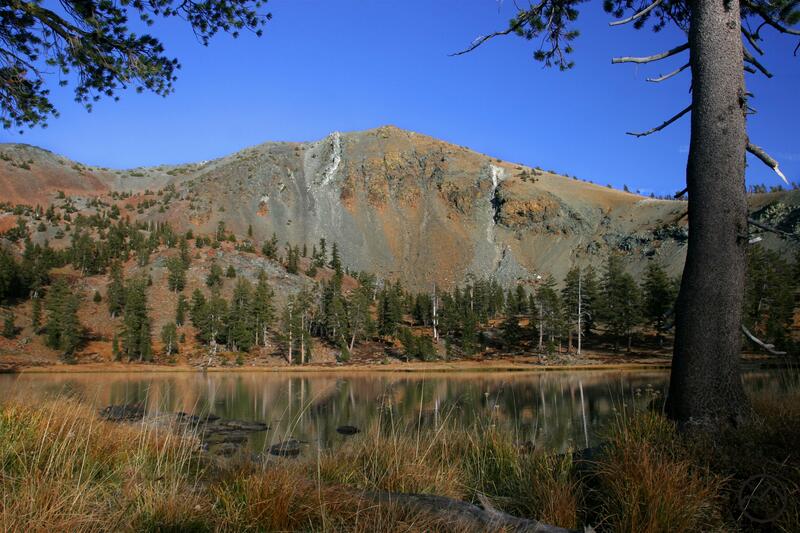 Among the litany of notable qualities, Mount Eddy is the tallest peak in the Trinity Divide, is the tallest peak in the entire Klamath Mountain range and is the tallest summit in the United States west of Interstate 5. It is also one of 57 ultra-prominence peaks found in the contiguous 48 States (topographical prominence is the measurement of how high and independent a mountain is. It is measured from the first topographical line that encircles a peak and not higher mountain. Ultra-prominence is 5,000 feet of prominence or higher). If Mount Eddy were not stuck in the enormous shadow of Mount Shasta, it would receive more recognition for the grand mountain that it is. Mount Eddy and the Eddy Range from the Castle Crags Wilderness. 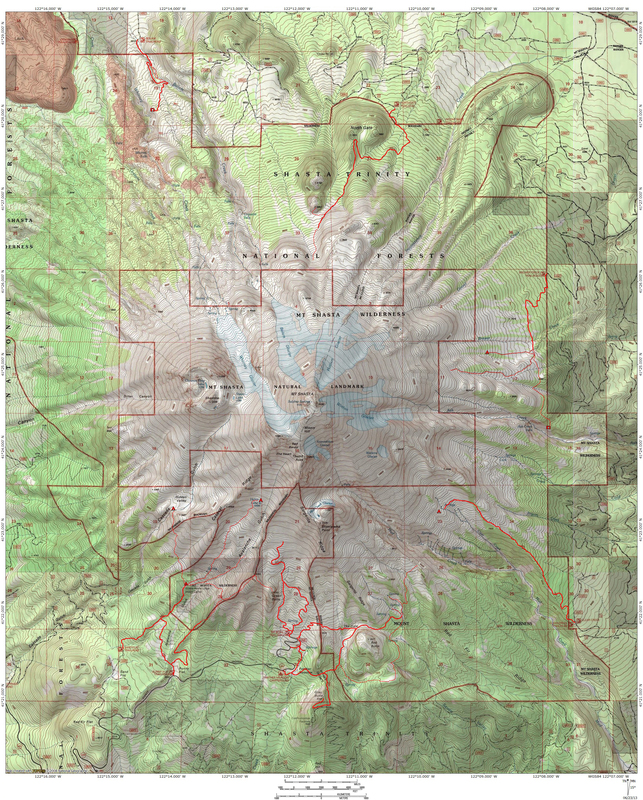 There are two wilderness areas in the Mount Shasta area. One encompasses the higher reaches of the great volcano. The other includes most of the granite spires of the Castle Crags in addition to an isolated alpine lake basin. Both of these wild lands are relatively small, though they do pack an inordinately large scenic punch. Of course, a little further to the west, there is nearly a million acres of wilderness divided between the Trinity Alps, Russian and Marble Mountains Wilderness Areas. Still, in the land immediately around Mount Shasta and Mount Eddy, there are only the two relatively small pockets of wilderness. In legal terms, an area that is designated as wilderness is left in its primeval state. No development can take place, no machinery be employed and natural processes are left to take their course. As the law famously states, man is a visitor in these lands. Typically, though not absolutely, lands that receive wilderness designation have notable and highly scenic qualities (this is not an official criterion for wilderness designation, but by their very nature it often works out that the wild lands are beautiful). Deadfall Lakes below Mount Eddy. Without doubt, Mount Eddy has the scenic qualities worthy of wilderness preservation. In addition to multiple alpine lake basins and lush meadows, Mount Eddy is composed of bright multi-hued peridotite that usually manifests in yellow and orange. The Eddy Range and other nearby ranges such as the Scott Mountains and parts of the Trinity Alps represent the largest concentration of this kind of rock outside of Alaska. The rock also makes for poor soil the plant life in these areas are specially adapted to life in harsh conditions. The inhospitable environment also contributes to the barren appearance in Mount Eddy’s higher reaches. Thrown together, these elements combine to create an especially scenic, and in many cases, spectacular landscape. If it were not for Shasta’s mighty cone a few miles to the east, Mount Eddy would be a leading destination in its own right. This raises the question as to why there is not a Mount Eddy Wilderness. If the mountain is worthy of wilderness designation and its special and scenic attributes are worth protecting, why has this not been done? It is not for lack of desire that it has not come to pass. The obstacle to wilderness designation lies in the 19th century. When the Southern Pacific Railroad laid track up the Sacramento River Canyon, the government, as was the normal practice at the time, gave the railroad sections of land (by section, I refer to a surveying section, which is one square mile and contains 640 acres) creating a checkerboard pattern of alternatingly private and public sections of land. Additional sections were sold to private individuals who had mining claims. Like much of the land between Mount Shasta and Redding, this was the case on Mount Eddy as well. The private inholdings, some of which constitute the heart of the Mount Eddy area, prevented the formation of a contiguous block of land necessary to establish a wilderness area. Even though wilderness organizations have recommended the creation of a Mount Eddy Wilderness, there have been too many roadblocks up until now. The situation has changed in the past few months. 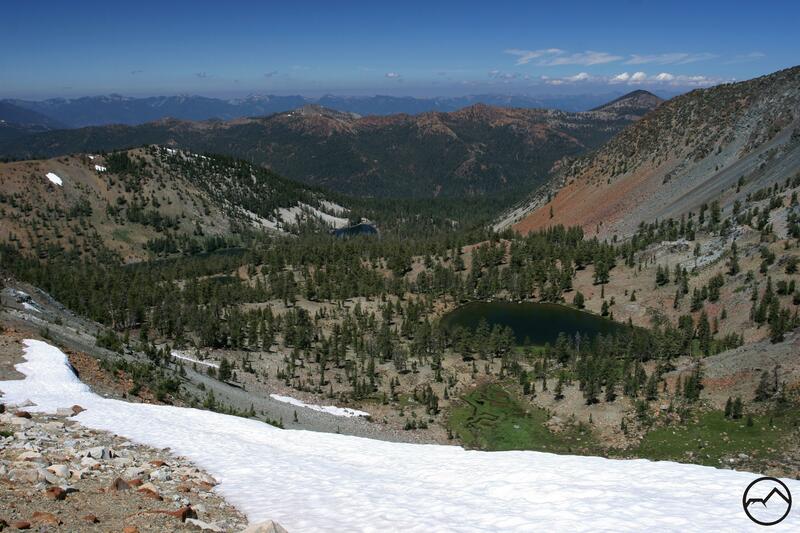 In the fall of 2012, the Shasta-Trinity National Forest acquired more than 700 acres of land around the summit of Mount Eddy from a private owner. The national forest is now negotiating a sale for an additional 2,300 acres from the same owner. When these sales are completed, the necessary core for a wilderness to be created on Mount Eddy will be present. 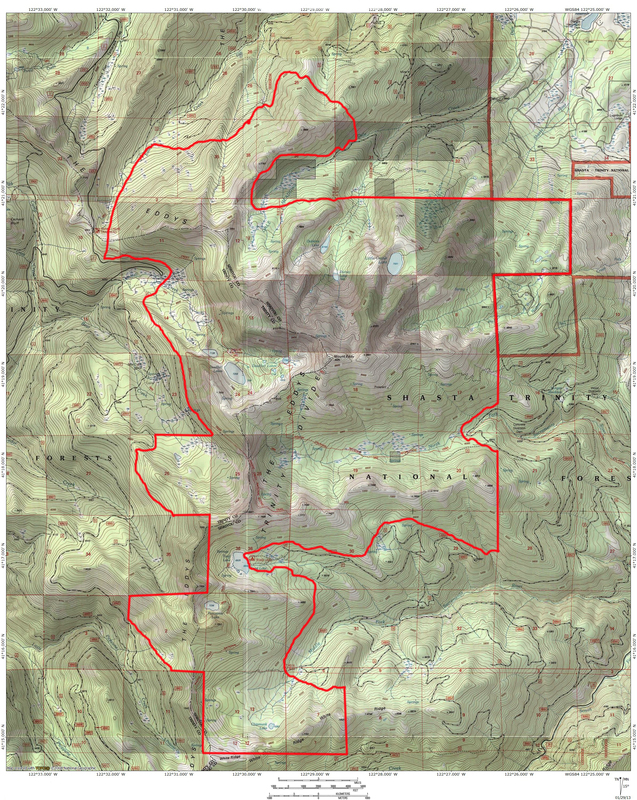 Conversations with the relevant personnel at the national forest have revealed that it is their intention to work toward wilderness protection for Mount Eddy once all of the necessary criteria have been met. The acquisition of the private inholdings is the most significant of these. There will probably be little opposition from private groups since most of the use on Mount Eddy already consists of recreation that would continue after the establishment of the wilderness area. Of the current uses only snowmobiles and OHV would be restricted. Of course, wilderness designation requires an act of congress, so even once all of the necessary steps have been taken, it is uncertain when the process will be completed. This is also a contentious issue with people who are sensitive about private landowner’s rights. I count myself one so concerned but this land is already owned by the federal government and will not effect private owners. Indeed, private ownership is what has prevented this action up until now and it is their desire to sell that has initiated the move toward wilderness preservation on Mount Eddy. Sections acquired in red. Sections under negotiation in blue. Porcupine Lake, at the southern end of the proposed wilderness. What will be included in the Mount Eddy Wilderness? At this point, it is impossible to predict. 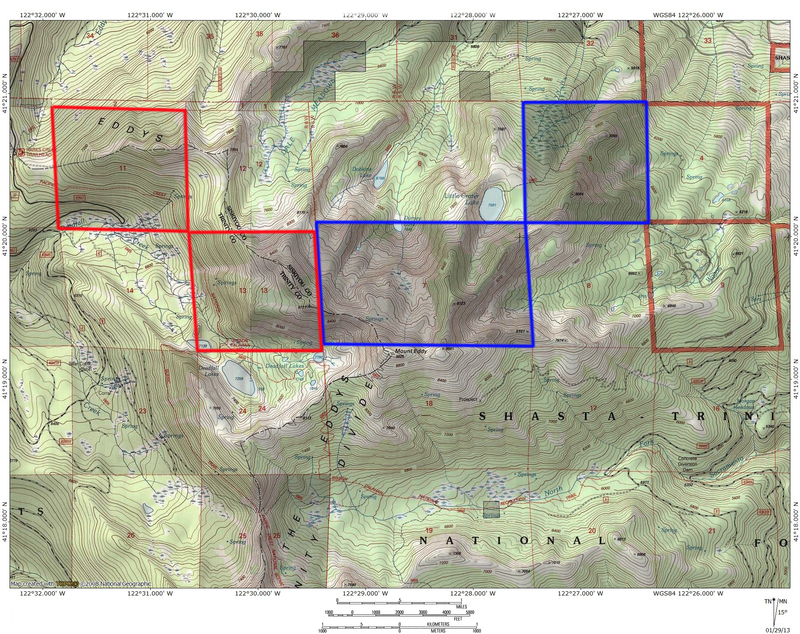 An early proposal from the Calwild organization included a significant portion of the Scott Mountain north of Mount Eddy. This would have included the Bull Lake and Caldwell Lakes areas. At this point, I think that this becoming a reality is unlikely. Nonetheless, a significant amount of roadless land can be cobbled together that would incorporate most of the Eddy Range. It is possible to include all of the lakes on Mount Eddy, the North Fork of the Sacramento Canyon and even the Toad and Porcupine Lakes basins. 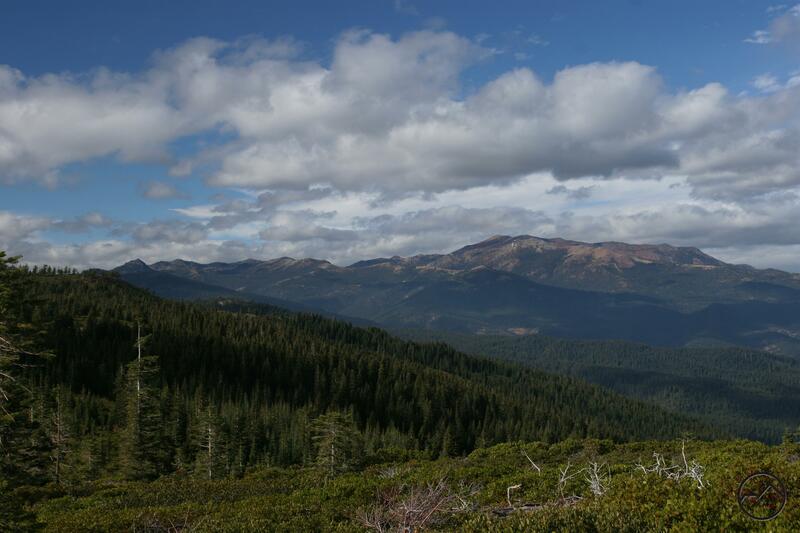 The wilderness would essentially encompass the crest of the Eddy Range and descend down the upper portions of the North Fork and Middle Forks of the Sacramento River. This area is already prime hiking territory and has many great off-trail scrambles too. The establishment of a Mount Eddy Wilderness would further emphasize the hiking and backpacking use of this land and preserve it in its primeval state. My proposal for the Mount Eddy Wilderness. Mount Shasta viewed from Mount Eddy. There are a few great trails in the area that would constitute the Mount Eddy Wilderness. Most notable is 10.5 miles of the Pacific Crest Trail. The southern portion of this makes a great hike up to Porcupine & Toad Lakes. 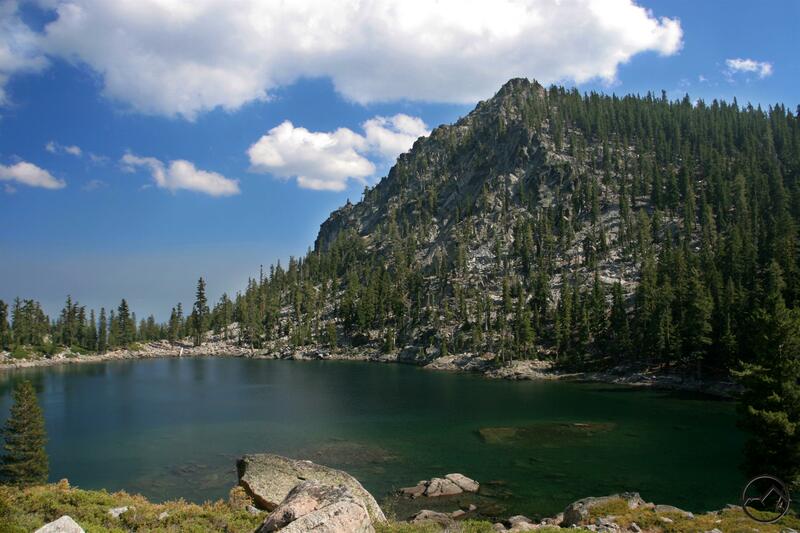 The northern portion of the Eddy section of the PCT leads to the beautiful Deadfall Lakes, one of the prettiest areas in the Northstate. Another trail climbing out of Deadfall Meadows also arrives at the basin, where there are a series of beautiful alpine lakes. From there a trail leads to the summit of Mount Eddy and the finest view anywhere in the Northstate (I think it is better than the view from Mount Shasta because you can actually see Mount Shasta). The Sisson-Callahan Trail also climbs out of Deadfall Basin and descends into the canyon of the North Fork of the Sacramento, which it then follows all the way to the main fork of the river, 12 miles distant. There are also great off trail scrambles to grand but elusive lakes like Little Crater, Dobkins and Durney Lakes. It is an area ripe for exploration.